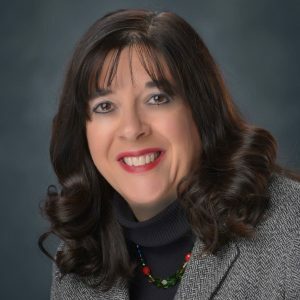 Anita Astorino Kulik has always believed in empowerment through education, a philosophy nurtured by her parents in their Anita Astorino Kulik has always believed in empowerment through education, a philosophy nurtured by her parents in their Carnegie home. Her father Sam earned both a Ph.D. and J.D. from Duquesne University where he later chaired the department of history and served as a respected law professor. Her mother was an elementary school teacher at St. Simon & Jude Parish in Scott Township. After graduating from Bishop Canevin High School, Anita followed in her father’s footsteps and attended Duquesne University where she received both her undergraduate and law degrees. Seeking an opportunity to make a more lasting impact on the community she loves, in 2016, Anita ran for State Representative in the 45th District and won a seat in the state legislature. In her first term, Representative Kulik has not sat quietly on the sidelines. She is aggressively championing the rights of organized labor, fighting to properly fund our public schools, and standing up to Republican assaults on healthcare and social services. Representative Kulik has also proposed grant funding to remove blighted properties, allowing communities to attract businesses and reinvigorate main streets throughout the district. From combatting the opioid crisis to raising the minimum wage, Representative Kulik actively promotes the interests of those who elected her to serve. As the co-sponsor of a resolution urging the President and Congress not to repeal the Affordable Care Act, Anita has proven her commitment to her constituents rather than special interests. Representative Kulik lives in Kennedy Township with her husband Joe, and is a proud parent of Sarah and Joseph. She remains active in St. Malachy Parish, including serving as a Bereavement Minister, and the Parkway West Rotary Club. Carnegie home. Her father Sam earned both a Ph.D. and J.D. from Duquesne University where he later chaired the department of history and served as a respected law professor. Her mother was an elementary school teacher at St. Simon & Jude Parish in Scott Township. After graduating from Bishop Canevin High School, Anita followed in her father’s footsteps and attended Duquesne University where she received both her undergraduate and law degrees.